The good news is you can prevent future regrets by making a strong savings plan now. As a small business owner, you may not have a retirement plan, so it’s essential that you create one for yourself. You earn an income today. Put some of that income toward paying your future self, and pay that “bill” first, every month or with each paycheck. Increase your financial skills by learning how to fund your retirement. Take care to manage your investment risk and be realistic about investment returns. In good markets, purchase rather than rent or lease so you are building an asset. Put as much aside as you can, and live beneath your means. If you have periods when work is slow, live frugally until your income is back to normal. Sell unused belongings on eBay and put the money into savings. Cancel subscriptions and memberships and move the saved money into savings. Periodically reach out to vendors to get a better deal on the expenses you incur. This could be for phone plans, utilities, and any other routine expense. Put the difference saved into savings. There are hundreds more ways to save more. These will get you started in the right direction for 2019. Revisit your current prices and make adjustments as necessary. 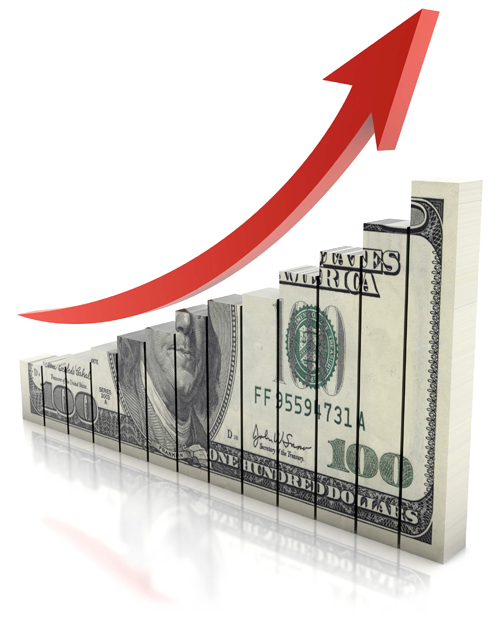 Many people will tell you that increasing your prices will increase your profits, but that’s not necessarily true. Increasing your prices by a small amount might increase your profits without turning away existing customers, but make sure you research your value and your competitors’ prices and adjust based on what makes sense in your market. Bundle your services or products together. Make your products or services more attractive by bundling them together and pricing them at a better deal than purchasing the services or products separately. Customers who only want one particular product or service should still be able to purchase the product or service à la carte, but offering different packages of increasing value makes it much easier to upsell to customers and increase your business revenue. 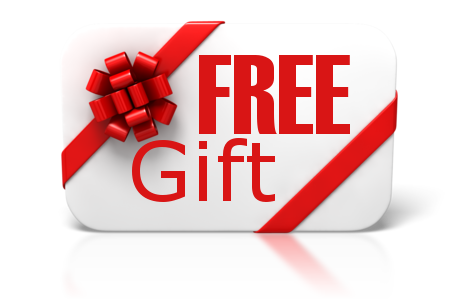 Offer free gift with purchase. Start a new product or service line. If you’re limited to just a few products or services, it’s time to expand. If you mow lawns, offer a leaf collection or snow removal service. If you sell shoes, add socks. If you manage a restaurant, consider offering adult beverages. Expanding the scope of what you’re selling will provide you with additional revenue. Learn to say “no” to bad clients. This may seem counterintuitive, but learning to turn away bad clients is really important. When customers are unresponsive, ungrateful, unreasonable and just take up too many of your resources, you have to realize that they are unprofitable. By turning them away, you can devote more of your attention to building relationships with your best customers and creating new, profitable opportunities. Everyone uses search engines and social media to find the right business to serve their needs, so make sure you can be found online. Create a website for your business and make sure you have business pages on social media platforms like Facebook, LinkedIn and Twitter. You’ll have to develop some marketing strategies and optimize your site to rank high, but, when done right, these channels can drastically impact the amount of revenue you receive. When you have many good reviews, your credibility goes up and your business is more appealing to potential customers. If your clients leave you an amazing testimonial, it’s a good idea to ask them to post it online as well—especially on Trip Advisor, Yelp, your Facebook Business Page, and Google Reviews. On the other hand, negative reviews will look bad to potential customers and can negatively impact your revenue, so make sure you respond appropriately to the review and show potential consumers that you care about getting things right. Encourage customers to sign up for a continuity program. Encourage customer referrals by building and nurturing relationships. Connect with customers and build strong relationships through effective communication, providing exceptional service, getting feedback, addressing concerns, and showing appreciation. Doing so can increase repeat customers, customer referrals and your business revenue. 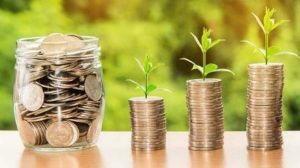 If you’re looking to boost your business revenue this year, definitely give these strategies a try. If you would like specific suggestions for your business, please reach out. 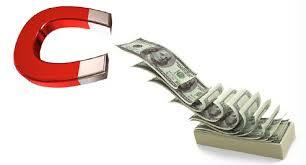 One of the biggest challenges for small businesses is managing cash flow. 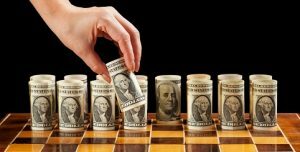 There never seems to be enough cash to meet all of the obligations, so it makes sense to speed up cash inflows when you can. 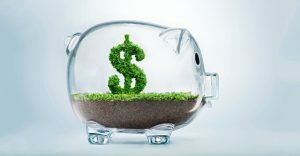 Here are five tips you can use to get your cash faster or slow down the outflow. Stay on top of cash account balances. If you’re collecting money in more than one bank account, be sure to move your money on a regular basis when your balances get high. 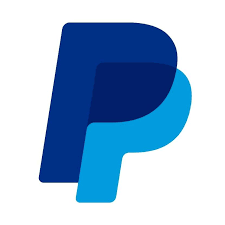 One example is your PayPal account. If money is coming in faster than you’re spending it, transfer the money to your main operating account so the money is not just sitting there. Invoice faster or more frequently. The best way to smooth cash flow is to make sure outflows are in sync with inflows. If you make payroll weekly but only invoice monthly, your cash flow is likely to dip more often than it rises. 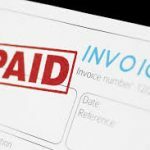 When possible, invoice more frequently or stagger your invoice due dates to smooth your cash balances. Or consider changing your payroll schedule to bi-weekly. Take a look at how long it takes you to invoice for your work after it’s been completed. If it’s longer than a few days, consider changing your invoicing process by shortening the time it takes to send out invoices. Email invoices to your customers with a payment link. That way, you’ll get paid sooner. Got clients who drag their heels when it comes to paying you? Try to get a credit card on file or an ACH authorization so you’re in control of their payment. Unless you have a compelling business reason, there is no need to extend 30 days to pay you. Change your payment terms to Net 7, 10 or 15 days. Put a process in place the day the invoice becomes late. Perhaps the client has a question or misplaced your bill. Be aggressive about following up when the bill is past due. Turn it over to collections quickly; the older the bill is, the less likely it is to get paid. As your cash flow gets healthier, make a plan to pay off any business loans or credit cards that you have. The sooner you can do this, the less interest expense you’ll incur and the more profit you’ll have. Interest expense can really add up. If you have loans at higher interest rates, you might try to get them refinanced at a lower rate, so you won’t have to pay as much interest expense. What did you spend that was a really great investment for your business? What did you spend that was a colossal mistake or waste of money? What do you take for granted that you can cut? What services are not being used? Where could you re-negotiate contracts to save a little? Where could you tighten up if you need to? 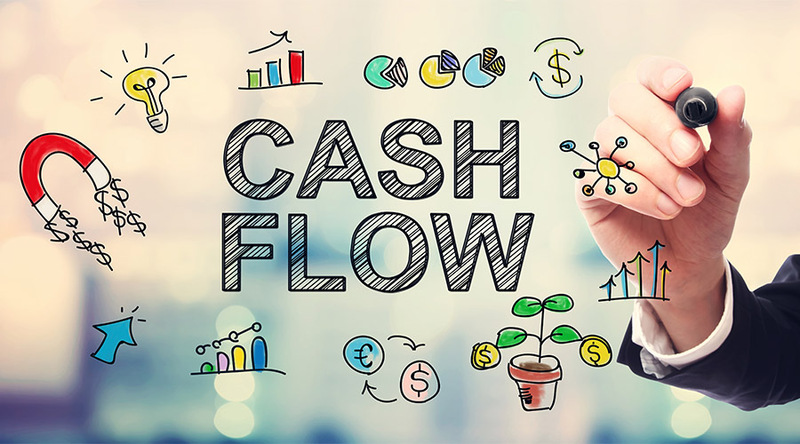 Managing cash flow is always a challenge, and these tips will help give you a little cushion to make it easier. If you would like us to help with specific suggestions for your business, please reach out. 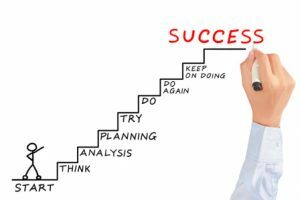 Today is the perfect time to think about your business goals and where you want to be one year from now. As year-end wraps up, you’ll soon know your financial numbers for 2018. You’ll then be able to evaluate how you did and map out a new plan for 2019. If you’re like many small business owners, you may have started your business without a business plan. Most businesses don’t need a long 20-page document that will just gather dust on a shelf. 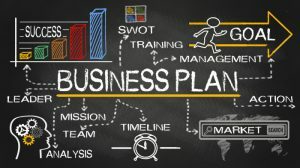 But you might want to consider putting together a short, 1- to 2-page concise document that includes the basic components of a typical business plan: mission, vision, strategies, and objectives. A mission statement describes what the company is in business to do. And while you could simply state a mission similar to “Our mission is to sell our products and services,” you may want to think bigger than that in terms of how you want to be known or to impact more than your customers. 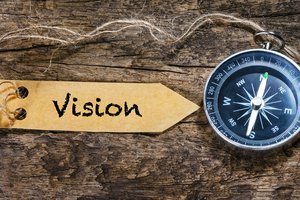 A vision statement describes your company’s future position. It’s what you aspire to be. It could again be, “Our vision is to sell more products and services than any other business.” Or it could be more inspiring and uplifting. Your business strategies support how you’ll get from where you are to what is stated in your mission and vision statements. While there may be many ways to accomplish your mission and vision, strategies are the approaches you’ll take to get there. Goals are measurable destinations with a timeline that are created from your strategies. Objectives finally get down to the nitty gritty and state the tactics and action plans you need to execute to put all of this work into play. Each of these items can be written out on a few lines, taking up all together no more than a few pages. The benefits of having a concise business plan are many: if you think of an idea you want to do, you can check the plan to make sure your idea falls under your vision, mission, and strategies that you’ve laid out for the year. If it doesn’t, then you’ll know that your idea would take you off track from your plan, and you know how easy that can happen these days with all of the distractions and options available to us. You may want to add additional sections to your plan depending on your strategies. If you plan to launch a new product or execute new marketing strategies, you might want to add a Market Summary section. If you seek new funding, you might want to have a section on funding options. With business planning, it makes sense to do what’s relevant, and nothing more or less. We wish you the very best in 2019, and if we can help you with the financial portion of your business planning, please reach out. Each January we rush around to gather tax information on the independent contractors we paid in the prior year in order to send them a 1099. Here are some basic tips for making it easier and less hurried in your year-end preparations. A link to the IRS’s instructions for 2018 can be found here. As a trade or business, you are required to obtain a Form W-9 from your independent contractors before you pay them, better yet – before they do any work for you. This is regardless of how much money you pay them. This form will give you the name, business name, address, entity type and taxpayer identification number. Service Providers – Anyone you pay in the course of your trade or business for services rendered. This includes Accountants, Consultants, Architects, Engineers, Designers, Contractors, Plumbers, Electricians, Installers, Landscapers, Snow Removal companies, Cleaning companies, the Auto Repair technician, Entertainers – anyone who performs a service or casual labor for your business who is not your employee. Rents – If your business pays rent for office space or land or equipment, you are required to send the recipient a 1099 for the amount of rent you have paid them. Exclusions – Sole proprietorships, partnerships and LLC’s that are taxed as sole proprietors and/or partnerships receive a 1099. You are not required to send 1099’s to a Corporation or a Tax Exempt entity. The Form W-9 will provide information regarding the entity type. Threshold – Send to recipients to whom you have paid $600 or more during the calendar year. QuickBooks® has a 1099 Wizard to create accurate 1099 and 1096 forms. It allows you to review and edit your vendors, set up account mapping preferences, run a summary report to review data, and print 1099 and 1096 forms. Note: QuickBooks® is only capable of preparing 1099-MISC. If you need to prepare other types of 1099’s (e.g. 1099-INT, 1099-DIV), you will need to do so outside of QuickBooks®. For 2018, if you are reporting Non Employee Compensation in Box 7, you are required to file on or before January 31, 2019 to both the recipients and to the Internal Revenue Service. Note: This is only basic information and is not intended to be all-inclusive. There are many other types of filing requirements for the Form 1099. We have only addressed the most common ones. As always, if you have questions regarding any of our QuickBooks® tips, please feel free to call for further clarification. New Business Directions, LLC specializes in QuickBooks® set up, clean up, consulting and training services, coaching small business owners and providing innovative business solutions. This article of QuickBooks Tips and Tricks was based on the 2018 version of QuickBooks®.